Last year, we identified European copyright reform as one of the main developments to watch for in 2015, and barely a month into the year this debate is already heating up. 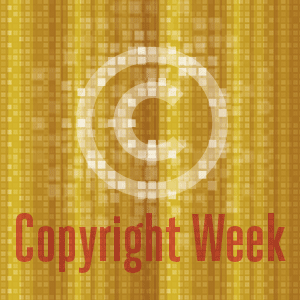 Coinciding with the release of a draft European Parliament report written by Julia Reda, Member of the European Parliament for the German Pirate Party, Copyright for Creativity (C4C) have also released their own new Copyright Manifesto this week. C4C was formed in 2010 when a coalition of 36 groups representing users, libraries, educators, and industry issued its founding Declaration for Europe (EFF was amongst them, but we played no part in the drafting of its latest Copyright Manifesto). Both the C4C Manifesto and Reda's draft report call for long-needed changes to European copyright law. These include the true harmonization of copyright rules across the EU's 28 member countries, the adoption of a broad, flexible copyright limitation akin to fair use in US copyright law, the reduction of the minimum copyright term to that required under international law, and the introduction of fairer rules on copyright levies and circumvention. We delve into some of these recommendations in more detail below. Unlike American law, which contains a broad fair use limitation, the 2001 European copyright rules provide a closed list of 22 limitations and exceptions from which member states can pick and choose (with the exception of one narrow compulsory exception for temporary copies). As C4C points out, this means that only half of the copyright system has been harmonized in Europe—only the rights of authors, but not those of users. This leads to the absurd situation where the safest approach for a European innovator is to move to the USA, take advantage of the real single market there and the ‘fair use’ approach to copyright, and come back to the EU once the service has developed to a stage that it can afford the legal fees, years-long procedures and unpredictable results of European court cases. C4C recommend that this be addressed by making European copyright limitations and exceptions mandatory, not optional. Reda's draft report accords with C4C's Manifesto on this point, but she also makes the technical suggestion that there should be a single European-level copyright regulation, rather than a directive that sets standards to be implemented in 28 different laws (inevitably in slightly different ways). Not only is the pick'n'mix of 22 closed copyright limitations and exceptions constraining for European countries, but since 2001 it has also become frustratingly outdated—preventing libraries, for example, from making digitized versions of works in their collections available remotely, and instead requiring that patrons travel to the library and seat themselves in front of a dedicated terminal. C4C recommends that this should be overcome by the addition of an open, flexible copyright limitation based on a set of factors to be balanced, much like the fair use right in the United States; an argument that EFF has also made. Reda basically agrees with this in her draft report, but also points out the need for new (or better) limitations and exceptions covering particular uses. Why would we need this, if we have fair use? Because there is a compelling argument that we should not have to engage in a fair use calculus merely to determine, for example, that it is lawful to take photographs of artworks located in public places; rather, this should be the subject of a black and white rule—as it is for example in Austria (but not in neighboring Italy). Reda calls for this to be allowed on a pan-European basis, and for similar targeted rules on data mining, research and education, and e-book lending. She also recommends a blanket copyright exception for works produced by the public sector (as exists in the US), as well as a rule clarifying the legality of hyperlinks. In its Manifesto, C4C joins the chorus of criticism of the broken and inconsistent system of copyright levies that most Europeans users pay on devices and media that can be used for copying—whether or not they are actually so used. C4C calls for a thorough analysis of the economics underlying the creation and dissemination of culture, and that if any levies can be economically justified, these should be made fairer and more transparent to the user. Both C4C and Reda also criticize the fact that whilst fees are being collected on the assumption that private copying is taking place, much of this supposed private copying is not even technologically possible due to the use of DRM. Reda's ingenious solution is to make legal protection for DRM conditional on the publication of source code for the technology used. Although EFF opposes DRM altogether, a mandate to open the source code of DRM systems, along with broader exceptions for DRM circumvention, would provide a lifeline to some of those who are most affected by DRM, such as libraries, archives, and users with disabilities. There is much more in the C4C paper and in Reda's report than can be covered in a short Deeplinks post, and both are worthy of a full read. Reda's draft paper has also been placed online for you to give your paragraph-level comments. The paper will be presented before the Legal Affairs Committee of the European Parliament on April 16, and before the full Parliament for a vote on May 20.